Our 100% commission real estate agents and brokers in Riverside are some of the most successful agents in the county. Capitalizing on modern technology, they work from home, one of our 1200+ worldwide affiliate office locations, or any other remote location of their choosing. Utilizing our cutting edge Agent Portal™ and transaction management platform, they maintain access to 24/7 broker support, training, marketing, and countless other tools while benefiting from the savings of a 100% commission split. 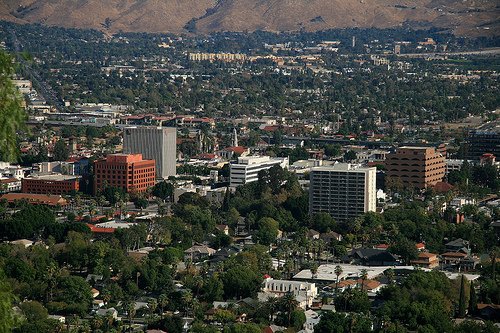 Riverside County, along with neighboring San Bernardino County, comprise what is known as the Inland Empire. Prior to the 2008 downturn in the economy, Riverside County was one of the fastest growing regions in California. Many people employed in the Los Angeles and San Diego County areas have moved to Riverside County in recent years to take advantage of the more affordable housing market. With an area of approximately 7,300 square miles, the Riverside County population exceeds 2.1 million people, and has 12 federally recognized Indian reservations. Other notable locations in Riverside County include the famous resort cities of Palm Springs, Palm Desert, Rancho Mirage, Indian Wells, La Quinta, and the Coachella Valley. Selling real estate in Riverside County can be a very exciting and rewarding profession, especially when working with a 100% commission real estate brokerage. Many real estate agents and brokers in Riverside County earn six figure incomes, and love what they do. Recently, however, a large number of Riverside County Realtors have grown tired of the high fees and commission splits they endure with when working at traditional brokerages, and have chosen to take advantage of our comprehensive 100% commission plans. United Realty Group is home to many 100% commission Riverside County real estate agents and brokers in Banning, Beaumont, Blythe, Calimesa, Canyon Lake, Cathedral City, Coachella, Corona, Desert Hot Springs, Eastvale, Hemet, Indian Wells, Indio, Jurupa Valley, Lake Elsinore, La Quinta, Menifee, Moreno Valley, Murrieta, Norco, Palm Desert, Palm Springs, Perris, Rancho Mirage, Riverside, San Jacinto, Temecula, and Wildomar. Under our 100% commission structure, our associates in Riverside County keep 100% commission for as low as $125/month + $125/transaction (Silver Plan), or $550/transaction (Gold Plan). As an example, one of United Realty Group's 100% commission Riverside County agents closed a $325k transaction, with a total commission of $9,750. Based on his 100% commission plan, his net check was $9,625! If you are looking for a 100% commission real estate brokerage in Riverside County, United Realty Group is the brokerage for you. All of our Riverside County real estate agents and brokers are enjoying our 100% commission plans, and most are literally saving tens of thousands of dollars a year in commissions. In addition to United Realty Group's 100% commission plans, we offer 24/7 broker support, training, leads, turnkey marketing campaigns, IDX websites, in-house escrow and transaction coordinating, lifelong residual income for recruiting other agents, MLS access throughout the state, and much more! At United Realty Group, our 100% commission plans barley scratch the surface of all we have to offer. For more information about becoming a 100% commission Riverside County REALTOR® with United Realty Group, please contact us for a quick response from one of our brokers. Give yourself a raise...start earning 100% commission today!